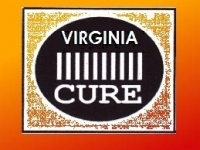 Virginia CURE is a state chapter of CURE, Citizens United for Rehabilitation of Errants. Our mission is to reduce crime through criminal justice reform. To achieve success, all concerned citizens must make an effort to be informed and participate in activities that encourage fair, humane, and responsible criminal justice and prison policies. Virginia has more than 38,000 prison inmates. In 1994, Virginia abolished parole. One of every 89 adults is incarcerated. 52 percent of Virginia’s adult correctional population is behind bars.In comparison to other states, Virginia has the fourth highest incarceration rate versus using community supervision in the country. Virginia has only 1 in 94 adults under community supervision compared with the national average of 1 in 45. The state’s growth in the imprisonment rate per 100,000 residents was 9th highest of all states from the end of 2000 to June 30, 2009. The imprisonment rate per 100,000 residents in Virginia is nine percent higher than the national average for all states. In 2008 Virginia ranked 41st in index crimes, 42nd in violent crimes and 40th in property crimes per 100,000 resident population. The annual cost of holding a prisoner in Virginia is $24,667. It is estimated that annual corrections costs since 2000 have increased by at least $120 million beyond that expected given the state’s population growth. In 2008, Virginia taxpayers spent 7.6 percent of the state’s general funds on corrections. Virginia spends almost 20 times more per day to manage prison inmates than to supervise offenders in the community.